So far during our travels through Australia we had seen plenty of live kangaroos and especially wallabies, but were confronted with an unexpected lack of kangaroo meat at the butcher shops and supermarkets that we visited. Luckily I found some kangaroo fillet steaks at a butcher shop in Alice Springs, so we could finally eat something very Australian: barbecued (grilled) kangaroo. We had eaten kangaroo before, but in the Netherlands it is only available frozen and this was fresh. The fillet was very tender and reminded me a lot of venison. For best results it absolutely needs to be served medium rare, so we grilled it on a very hot barbie for just a minute or so per side and then allowed it to rest in aluminum foil. 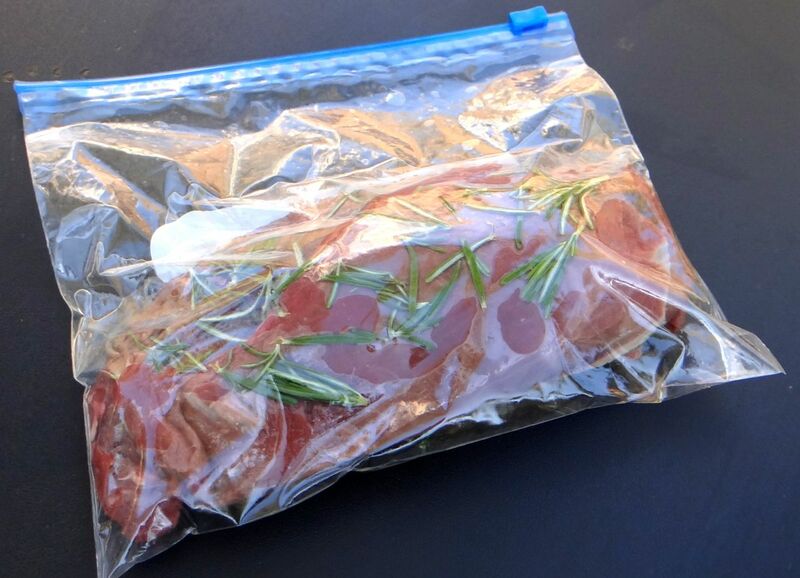 Rub the kangaroo fillets with olive oil and allow to marinade with fresh rosemary for some hours in the refrigerator in a ziploc bag or a covered container. Prepare a charcoal grill until the fire is so hot that you can only hold your hand above it for a second or less. It must really be as hot as possible, as we want to sear the kangaroo fillet as quickly as possible. We are looking for a nicely browned crust without overcooking the inside. 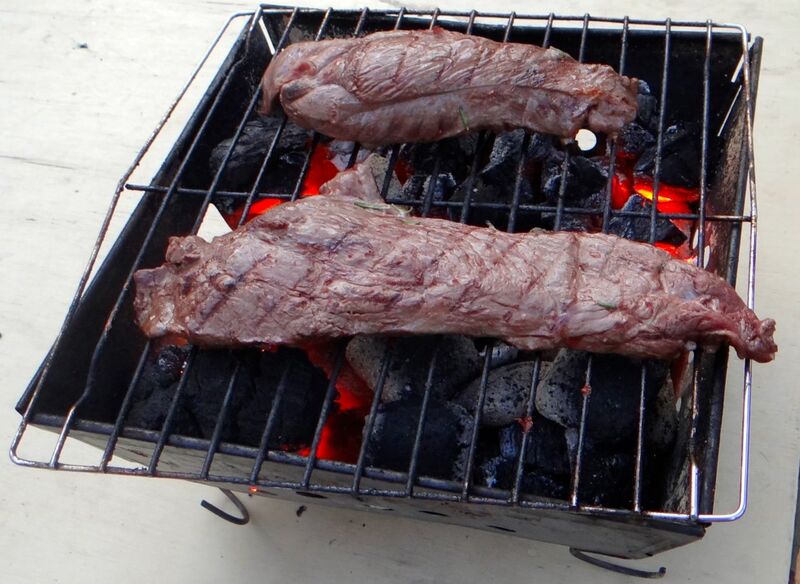 Cook the kangaroo fillets for 30 seconds on one side, then turn. Cook for 30 seconds on the other side, then turn again. Repeat this until the fillets are nicely browned, 2 or 3 times (so total cooking time 2 to 3 minutes). The quick flipping prevents the inside from overcooking. 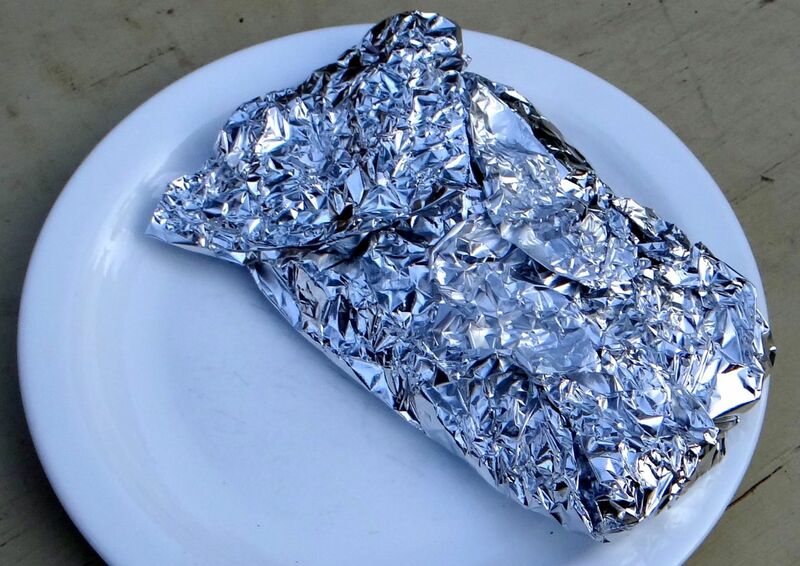 Wrap the kangaroo fillets in aluminum foil and allow them to rest for 10 to 15 minutes. The heat from the outside will now cook the inside. 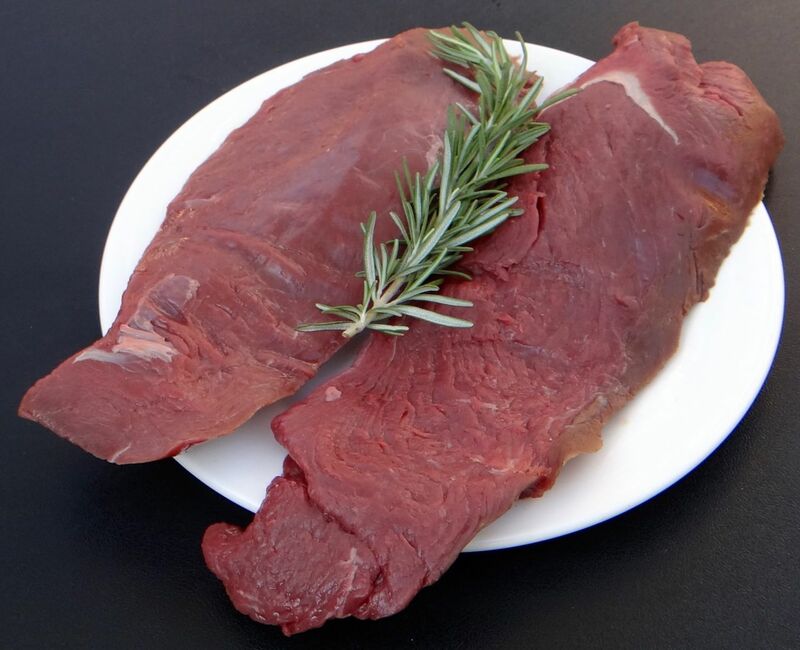 Since the kangaroo fillets are fairly thin, the short cooking time should be enough to achieve minimum rare. If you want to be sure, check the core temperature after resting. It should be 55C/131F for medium rare. 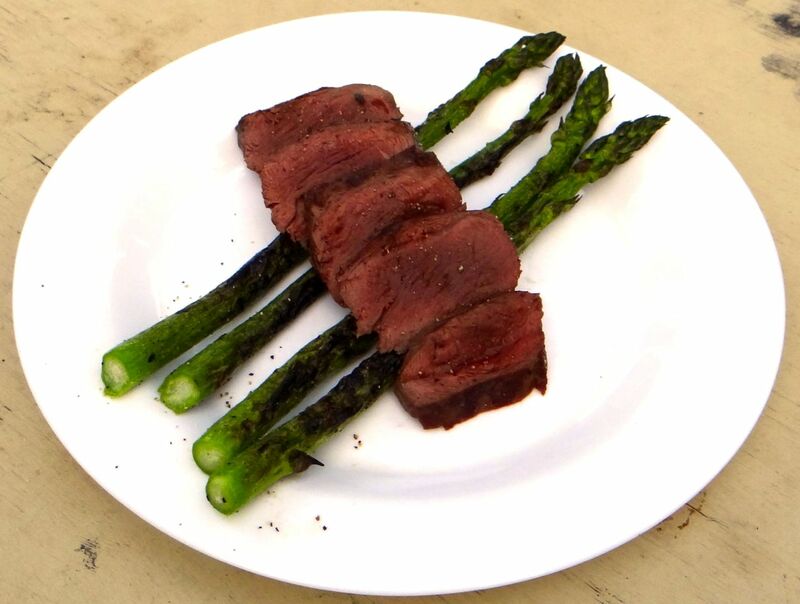 We grilled some green asparagus as a side while the kangaroo was resting. The asparagus were tossed in olive oil, salt, and pepper. They need to be turned frequently so they become nice browned, not burnt. Slice the kangaroo fillet after resting, and season with salt and freshly ground black pepper. Serve at once, preferably on warm plates. The natural pairing for grilled red meat is shiraz from South Australia (Barossa or Clare Valley). 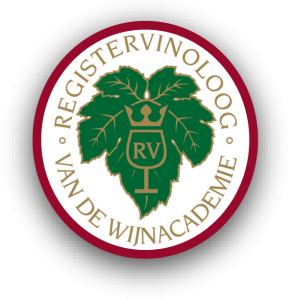 Make sure to check the alcohol percentage, as some of them can be as high as 15%, which makes for an unpleasant wine, and serve it around 17C/63F so you may have to put it in the refrigerator for a while like we did. I think you have gone native! Good for you trying the local tucker. It’s free range and grass fed! Hahah Hope you’re having fun. I’m back in Melbourne, cold wet and windy! No flies in the Top End for us either, but from Alice they were quite shocking — especially since this is my first encounter with flies that prefer to sit on human heads (preferably inside ears even). I don’t think I’ve ever eaten “roo”, although I’ve eaten lots of other “out of the ordinary” meats. 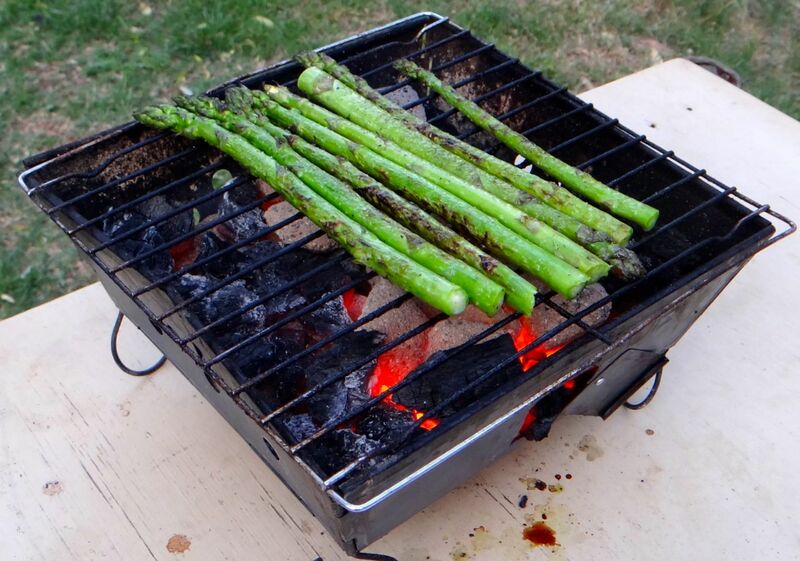 It sure looks like you did a terrific job “grilling” it !!! This ought to be more ‘ordinary’ as it’s lean, free range/wild, tasty, and cheap. I totally agree – just like buffalo (bison) is leaner than beef. I checked with my Australian friends and they confirmed that kangaroo is seen as pet food by many Australians. Isn’t it funny how what we “will” eat in predicated upon how we’ve been brought up to view it. Like horse meat – we (Americans) eat cows etc. & that doesn’t bother us. And how about rabbit – it’s pretty much never on a menu here in the States but in Malta they even have specialty restaurants which serve only rabbit. And some people have a fit to think about people eating deer meat – but, again, cow is OK. Laughing AND oh so approving from Down Under [How bloody presumptious : ) !] The roo is tasty, healthy and so easy to cook ~ do so about once a week, but many Aussies still do not know or are doubtful 🙂 ! If you ever have a chance again, do leave it rare . . . it IS fantastic and enjoyable protein and SO healthy for the environment!!!! 🙂 Not to mention a lot cheaper than beef. Which is why I’m surprised I couldn’t find it more easily.